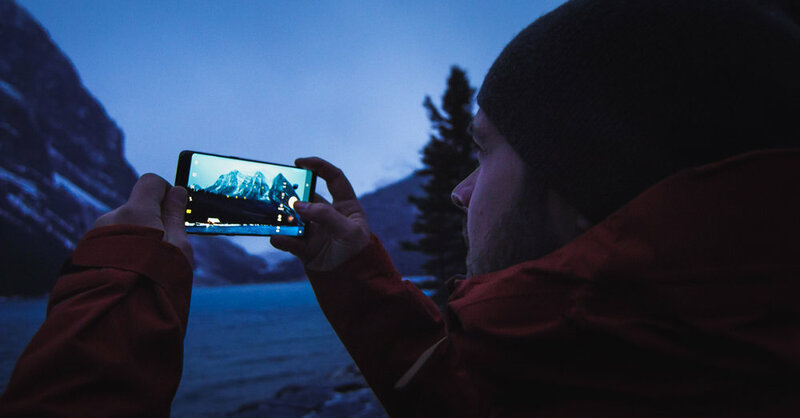 We were lucky to spend lots of time in in some beautiful locations in Alberta in 2017 and our final trip there of the year was spent it with Callum Snape and his Samsung Galaxy Note 8. Callum brought us to some beautiful locations as we documented selected features of the Note8 and how Callum uses it to capture the amazing scenery in the place that started him on his photography path. We had a tight timeline and only one full day and one morning to create three short feature pieces and one longer all encompassing edit. To make our trip more difficult the weather was not on our side. We battled high winds and rain throughout the day making us have only a selective few hours to pull everything together. Once we arrived we carefully adapted a strategy that would allow us to travel from location to location and maximize on the best possibilities of good weather and proper light to highlight the Note8's features.